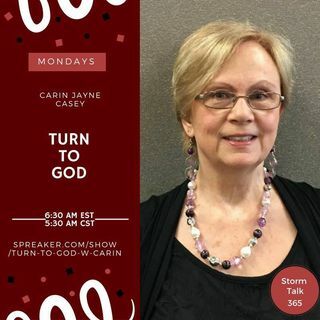 Turn To God w/ Carin - “I Have a Dream"
In “Turn to God with Carin,” Carin Jayne Casey encourages listeners to believe God has dreams for each of us; we need to take a courageous step in faith. She referenced Martin Luther King Jr.'s "I have a dream," several Biblical instances, and her personal dream. Her books, such as “My Dear Rosa Jean” are available at Amazon.com and Barnes & Noble Nook. The National Domestic Violence Hotline number is given. "I Have ... Maggiori informazioni a Dream"